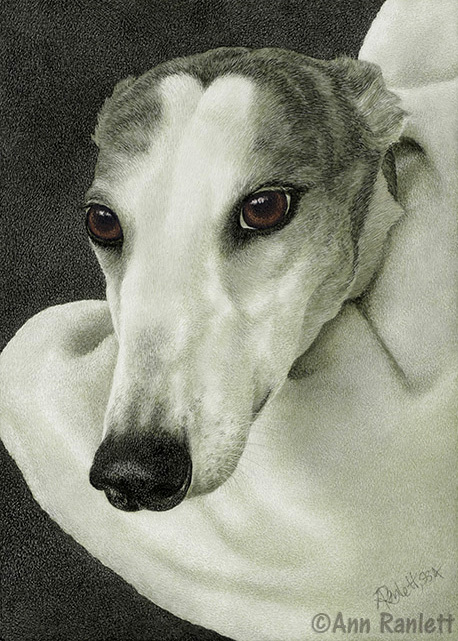 Ann took the reference photo on the day this dog was adopted from a local rescue and knew it would someday become a sensitive portrait. That’s the dog’s new owner’s arm embracing her. Ann created this drawing for the “Canine Collaboration at the Cafe” art show. See work in progress steps for “Safety” in the show album. 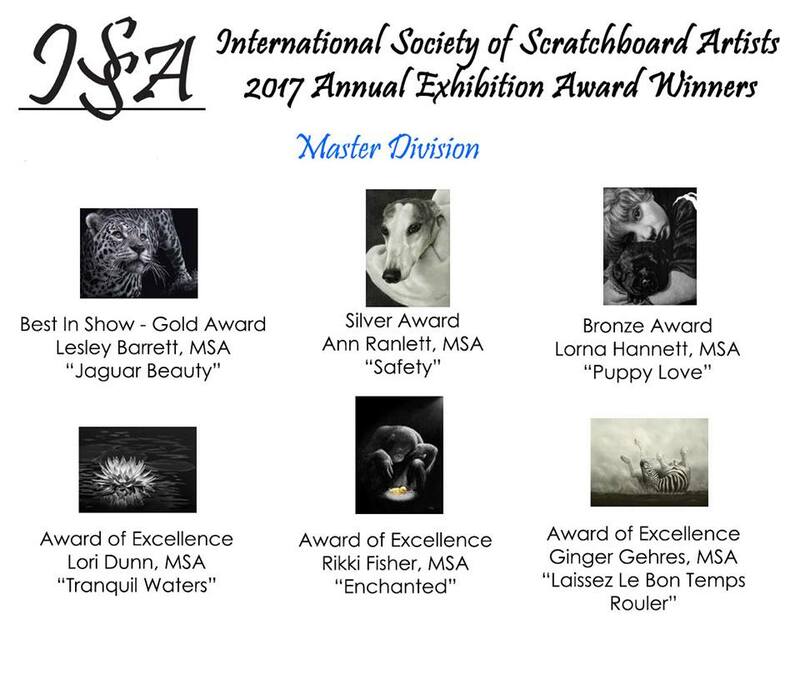 This drawing received a Silver Award (second place) in the Master’s division in the 2017 International Society of Scratchboard Artists’ annual Exhibition in South Australia at Stump Hill Gallery, McLaren Vale Visitors Centre, McLaren Vale. The drawing sold at the Exhibition. “Safety” was also selected for inclusion in North Light Books’ Strokes of Genius 10: Inspiring Subjects, published in November 2018.